They apparently agree that I have torn apart what they have written and they don’t want to let me do it again. Fortunately, I have my own blog on which I can reply. I was wrong. 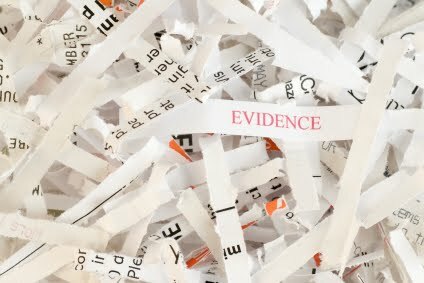 Evidence doesn’t hold all of the answers. … [M]idwives and childbirth educators like Lamaze have a problem. The scientific evidence often conflicts with their ideology… [Therefore] they’ve tried to justify ignoring scientific evidence. There are many reasons I have come to believe [that scientific evidence doesn’t hold all the answers], but there are two I want to write about today. The first is that the way research is currently funded, conducted, and disseminated, it simply doesn’t address many outcomes that women care about. Those evil doctors and scientists are concerned with what is safe and what is dangerous, but midwives don’t care about THAT. The second is that we all arrive at the point of healthcare decision making with a different constellation of factors that affect our choices. We may have different financial resources, health situations, hopes and plans for the future, tolerance to pain, tolerance to risk, prior experiences, and so on. In other words, with the exception of practices that cause harm with no counterbalancing benefit at all or benefit with no risk of harm at all, there is no such thing as a good or bad healthcare decision. There’s only such a thing as a good or bad healthcare decision for a certain person. Evidence cannot guide practice without the other piece of the equation – the person to which the evidence is to be applied. So clinical practice SHOULDN’T be guided by scientific evidence, because scientific evidence does not support the central claims of natural childbirth. Better to pretend that scientific evidence cannot tell us about individuals and only they can figure out what is “safe” for them. Endometriosis is not a “little-known” complication of C-section. Just a brief search of the internet brought up a paper from 1965 and it had been well described long before then. That same brief search revealed literally hundreds of papers on the topic (I stopped counting at 400). Oh, and those papers were not RCT’s because, contrary to Goer’s assertions, RCT’s are not required in order to recognize a phenomenon. How can supposedly “educated” women fail to be aware that there are hundreds of papers on the topic extending back many decades? They lack basic knowledge of science, statistics and obstetrics. They actually think that because THEY didn’t know something, it must be unknown. At least Romano has inadvertently acknowledged what I have been writing all along: scientific evidence does not support the central claims of natural childbirth advocacy. In the world of Lamaze, if the evidence doesn’t support the claim, you have to throw out the evidence, … and then you have to delete it if anyone dares to post it on your blog.